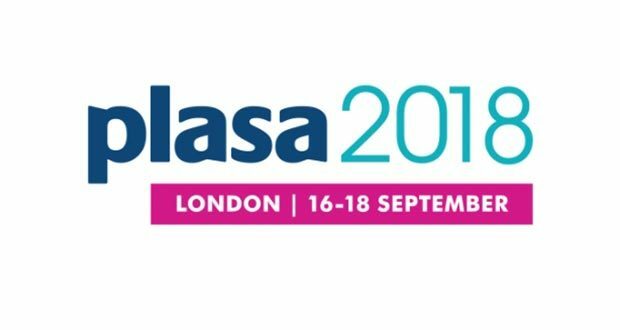 Once again, PLASA Show returns to London Olympia where attendees can expect to see products on display from the likes of d&b audiotechnik, L-Acoustics, Bose, Audio-Technica, Yamaha, Adamson, Adam Hall, Nexo and many more. 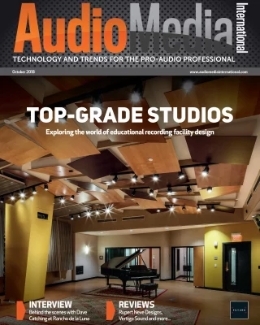 The seminar programme is fully-loaded with thought-leaders and seasoned experts, including pro audio experts Britannia Row Productions (see our training report in the latest issue of AMI on p14-15), who are hosting a series of seminars to help both up-and-coming audio and seasoned professionals alike. 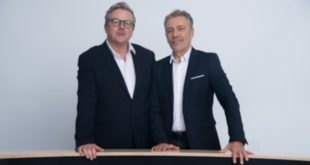 They will discuss the future of immersive audio, outline their training courses, run a demonstration of speaker system prediction software, and assist legendary sound engineer Simon Hodge (Robbie Williams) to build a mix from scratch using a multitrack recording. 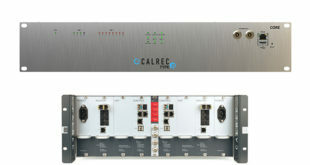 Elsewhere at the show, Avnu Alliance representatives Genio Kronauer of L-Acoustics and Henning Kaltheuler of d&b audiotechnik will present the new application layer protocol for guaranteed future-proof AV networks, discussing how the Avnu Pro AV specifications and certification programme promises reliable, and future-proof delivery of networked media. This year will see SoundGirls make their debut at PLASA Show with a future-focused panel looking to bring the audience closer with live mixing apps, immersive sound systems and a whole new generation of technology. Monitor engineer Becky Pell and audiologist Gisele Flower will discuss how the use of in-ear monitors have changed the live experience, and protected performers from hearing loss. They will also explore future developments which hope to overcome the ‘disconnect’ that live artists can often feel when performing on stage. 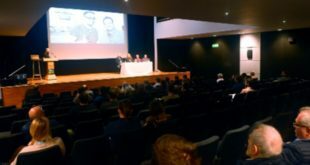 In addition to the panel discussions and heavy-weight conference programme, there will be a number of audio demonstrations over all three days from the likes of OHM, Shermann Audio, KV2 Audio, Aura Audio and RCF. Holoplot, a Berlin-based PA manufacturer developing a fully modular WFS systems, will demonstrate how wave field synthesis can build scalable solutions that function in harsh acoustical environments and support immersive audio experiences for retail and other industries. Meanwhile, Sennheiser will offer training sessions focussed on their Speechline Digital Wireless System. What is the main focus for this year’s event following the successful 40th edition last year? 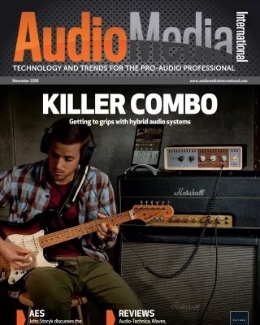 We have spent a lot of time in the past year working with the audio community to learn more about what they’re looking for in a show, which is something our previous operation didn’t do so well. Last year we had 23% more audio companies exhibiting, and this year we’ve seen a further increase, including brands such as L-Acoustics taking a stand at the show for the first time in quite a few years. We have opened up more space for audio brands to demo the latest sound systems, as well as more keynote speakers, workshops and training. We want everyone coming to the show to be wowed and entertained – something this industry knows how to do better than anywhere else, and hopefully people will feel this the moment they enter the lobby! There will be more live entertainment, and we are integrating more technology into the show including large LED screens to display show information. Finally, we have taken on board the positive feedback that visitors and exhibitors value the sociable and networking elements of the show, with 56% visiting for that reason, so we have decided to have late night opening on the Monday of the show. What are some of the technology trends you expect to see this year? 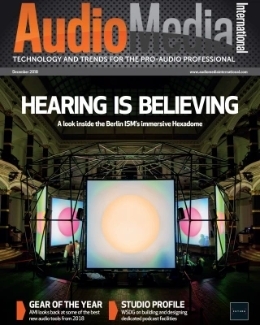 Immersive Audio has been a major topic this year, with some impressive developments being showcased, among others, by d&b audiotechnik, L-Acoustics and Outboard on the show floor. 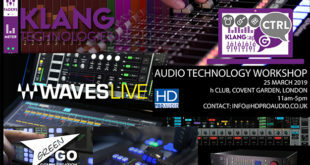 A seminar session covering this topic will also be hosted by Britannia Row Productions, which involves DiGiCo, Clair and L-Acoustics. Other topics include In Ear Monitoring, Mental Health in the industry, Audio Modelling and Analysis and Audio Mixing Techniques to Personal Development and Business Coaching.